ARM works with scientific users to continually evolve to enable the next generation of scientific inquiry. The Atmospheric Radiation Measurement (ARM) user facility is continually changing in response to evolving science, user needs, and available technology. Learn more about engaging with ARM and its future priorities. In addition to interactions with the scientific community, the direction of ARM is governed by the strategic direction set by DOE. To create a powerful new capability for furthering its mission, ARM is undergoing a reconfiguration that is providing even more complete data sets to support process studies and model development. The goals established in its Decadal Vision were informed by the scientific user community through numerous workshops, with an emphasis on input from the past five years. 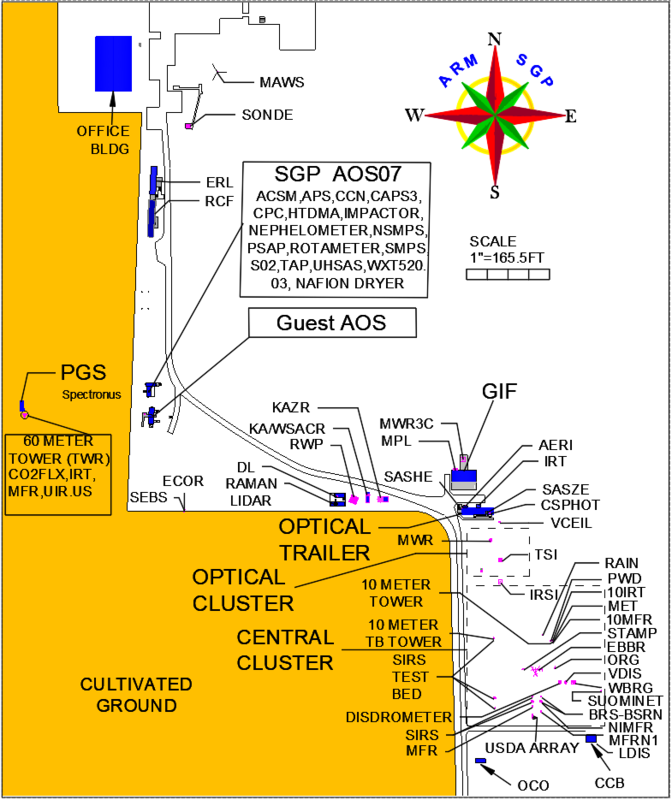 Changes at the Southern Great Plains (SGP) atmospheric observatory near Lamont, Oklahoma, will provide additional spatial sampling of atmospheric and surface information to support a new ARM capability—the routine operation of high-resolution process models. The result will be even more comprehensive scientific data and the processes and tools for scientists to more easily use the data for climate model development. Enhancements at the ARM Data Center will enable both the routine model simulations and analysis of the resulting data sets. With substantial measurement capabilities, the SGP is already the world’s largest and most extensive climate research field site. The newly reconfigured site in combination with the high-resolution model simulations will better address next-generation science questions about the complex interactions among atmospheric circulations, thermodynamics, aerosols, clouds, and the land surface. While this type of observation-model integration is not new at ARM sites, the application of this observation-model synergy on a routine basis will better exploit the long-term nature of ARM observations. The North Slope of Alaska atmospheric observatory is being enhanced through aerial measurements including routine missions using unmanned aerial systems (UAS) and tethered balloon systems (TBS) for scientific research. These routine measurements will provide valuable information about spatial variability and vertical structure. It is anticipated that UAS will provide valuable information about thermodynamic structure as well as aerosol and cloud properties. While the initial efforts have been at the North Slope, it is anticipated that other sites will benefit from these capabilities and already the Southern Great Plains has seen some UAS activity through the work of guest investigators. Read the report that sets forth the path to reconfiguring the Atmospheric Radiation Measurement (ARM) user facility. A progress report on the ARM Decadal Vision is now available.